As a program, CHAMP began 20 years ago within the Student Health and Human Services Division. Since its inception, CHAMP’s small team of eight CECs has assisted more than 65,000 individuals enroll and maintain low- and no-costs health insurance benefits. CHAMP team members offer enrollment and renewal assistance for the following low- and no-cost health insurance programs such as Medi-Cal (Medi-Cal with a Premium, Emergency Medi-Cal) and Kaiser Permanente Child Health Plan as well as Covered California. 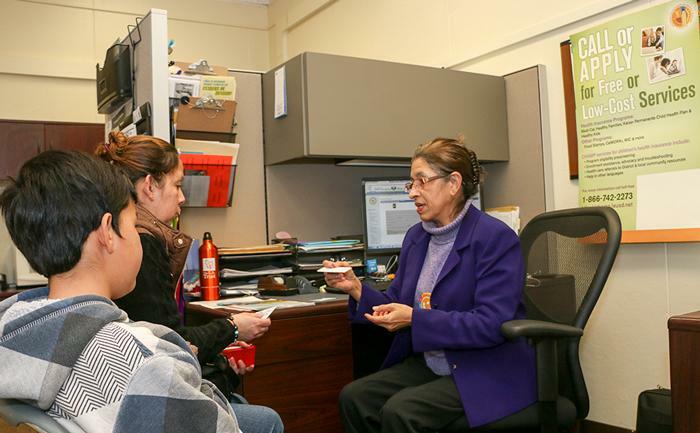 CHAMP also assists students and their families by making referrals to programs such as CalFresh, WIC, CHDP Gateway Services, and Healthy Way LA.